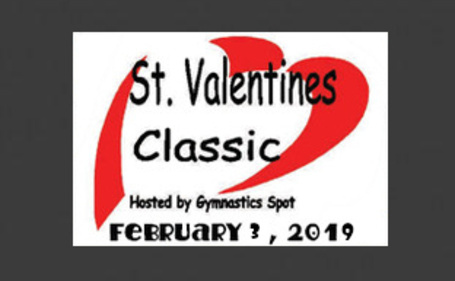 St. Valentines Classic is February 3! Female/coaches athletes will need to check in at 12:30pm. Males/coaches athletes will need to check in at 1:00pm. Competition @ starts right after opening ceremonies @ 1:55pm. 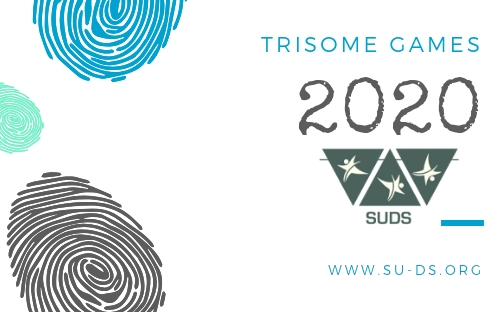 The Trisome Games 2020 report is out now! 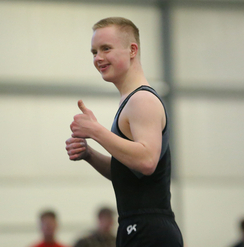 Download the NEW winter schedule and Athlete Registration now! As always, we are very excited to bring to you our Fall Athletic Programs. This schedule covers January through March. Always check this website often for updates, announcements and changes. Payments are due by the first week of practices. EVERYONE involved in STARS to complete a couple forms. There is a form from Special Olympics and one form from STARS. Thank you in advance for complying with this request. It's time to get your Tootsie Roll Drive Volunteer Slot confirmed. Families are required to volunteer for 2-3 hours the weekend of September 21 & 22. Some councils have two weekends with one being September 14 & 15, and some sell on September 23 as well. This is a mandatory fundraising event for all STARS Families. Click HERE to download the letter with all of the information. Sign up for your slot today!! Download the NEW Schedule, Athlete Registration and Volunteer Registration now! Sessions are filling up fast, so don't delay! This schedule covers September through December. We are excited to announce that we will be offering the Manna Group Scrip Program fundraiser this year. It’s a great way to earn money towards their athlete’s individual account to help offset costs for program fees, competition fees, uniform fees, etc. And that it’s not necessarily just a “buy a gift card for someone else”…it’s buy gift cards for yourself for the stores you shop at, and earn money back! along with some HOW-TO's and a link to the latest Manna order form. Great job by our awesome gymnasts and fantastic coaches. It saddens the STARS Family to share the loss of a 17 year veteran team member, Christine Motyka. She was a gymnast, skater, and part of our AAA program. Christine was born March 18, 1981, in Park Ridge, she passed away suddenly, February 16, 2016 in Elk Grove with her loving Family by her side. She will be greatly missed by all those whose lives she touched. We remember and pay tribute to our long time friend and supporter of Elite STARS, Doug Baxter. Doug was Patty's childhood friend and premier supporter of the Hacker's Classic. He was also a very close, dear friend of the D'Avolio and Hermann families. Doug was passionate about helping Patty live her dream with Elite STARS. If you have ever golfed or attended the Hacker's Classic over the past 22 years, you have enjoyed Doug's smile, his laugh and his entire crew that he would bring annually to support our athletes. He supplied us with over 60% of our raffle items annually and took great pride in helping us. Please pray for him and his family. Doug, we will miss you terribly and the Hacker's will never be the same without you. We are forever grateful for your friendship and support. CLICK HERE TO CHECK OUT ALL OF THE AMAZING REVIEWS AND STORIES! Please feel free to write your own review or tell your story about your experience with STARS. The Huffington Post, TakePart and Parade Magazine. We're proud to tell the whole world about STARS! 2014 Special Olympics USA Games in New Jersey from June 14th through June 21st. 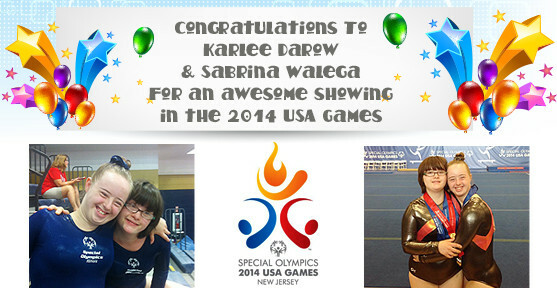 During that week Karlee and Sabrina reached incredible achievements earning them medals and new friendships with athletes from all over the USA. The 2014 Special Olympics USA Games was the largest national games undertaking ever in the United States. Nearly 3,500 athletes competed in 16 Olympic-style team and individual sports. The athletes were supported by 1,000 coaches, 10,000 volunteers and over 70,000 spectators. 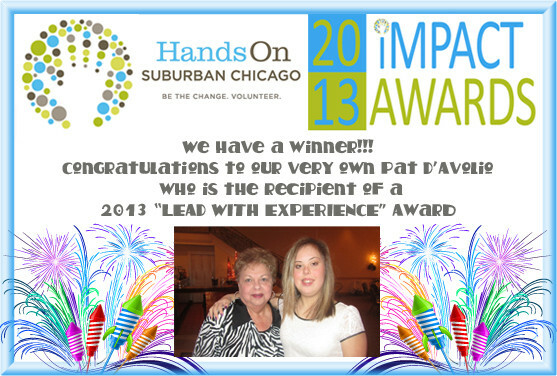 In recognition for Pat's outstanding volunteer efforts in our community, HandsOn Suburban Chicago has appointed a Selection Committee which has selected Pat as a recipient of a 2013 Lead with Experience Award. positive impact they have made on the lives of others. The Lead with Experience Impact Award, sponsored by the Retired and Senior Volunteer Program (RSVP), recognizes a volunteer age 55 and better who consistently uses his/her experience and leadership skills to inspire and mobilize others to make a difference. We are very proud of you and are grateful for your awesome leadership! Our coaching staff has been trained for these new routines. Our athletes and parents may want to view the videos and read through the new rules to become familiar with the changes that will take affect immediately. Below is the video link for the new routines. The music downloads are also available at the bottom of videos at this link. Also available on this site is a PDF of the new rules for Artistic Gymnastics.